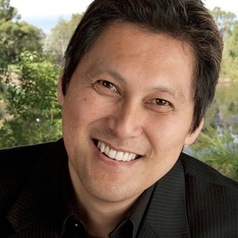 Professor Tony Wong is Chief Executive of the Cooperative Research Centre for Water Sensitive Cities, an Australian Government $120million inter-disciplinary research centre with research hubs in Brisbane, Melbourne, Perth and Singapore. He was formerly the Chief Executive and director of Monash Unversity's Centre for Water Sensitive Cities and, before that, its Facility for Advancing Water Biofiltration. A Civil Engineer, with a PhD in Water Resources Engineering, Tony is internationally recognised for his research and practice in sustainable urban water management, particularly in Water Sensitive Urban Design. His expertise has been gained through national and international consulting, research, and academia. He has led a large number of award-winning urban design projects in Australia and overseas and has been commended for having defined "a new paradigm for design of urban environments that blends creativity with technical and scientific rigour”. Tony was the Institution of Engineers, Australia 2010 Civil Engineer of the Year. In presenting him with the prestigious Sir John Holland Award the Chair of the Civil College Board Matthew O'Hearn described Professor Wong as, “a visionary, who throughout his career, has been an effective thought leader who continues to encourage his colleagues and clients through his passion and dedication to building sustainable environments”. Tony was also the 2012 Department of Civil Engineering, Monash University Alumnus of the Year.